Company OM: Got (hate) Mail? Recently, I received hate mail. Someone was very upset about something I wrote. The message threw shame, disappointment, judgement, and anger my way. My ego would like to defend my point of view, explain my situation, and justify my position. My soul is injured. And I would like to thank that person who sent me the message. I was more than hurt after reading the message she had for me. The person who sent me the message did not perceive what I wrote the way it was intended. And that is what happens in day to day life and work over and over and over. It results in misunderstandings, conflict, lost relationships, and lost opportunities. It results in hurt, sadness, self-destruction, and unrest. However, ignoring the others' perspective results in a lost opportunity to raise your self-awareness and emotional intelligence. Have you ever received hate mail? Or have you ever sent it? This is no different than schoolyard bullying. In any bullying situation, the bullying has to end with love and compassion. This type of bullying has become so easy with email and social media. I have seen it many times in the workplace. 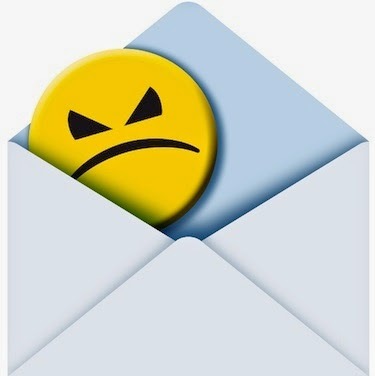 Emails or messages are sent in anger and upset. Typically, it is not sent with the intention to harm. But, what ensues is conflict, chaos, and other people getting involved and taking sides. Gossip, tension, and an unwillingness to work together results. It can ruin an organizational culture. Just one email. In work and life, we automatically go to the need to win in the situation. We must be right. We defend our behaviours and feel a sense of accomplishment when we 'win' a misunderstanding or conflict. It brings a false sense of power and falsely raises our confidence. Indeed, underneath it all, we are simply feeding our need to be understood and loved. A true mindful leader does not need to win, rather is more interested in serving others. That may mean the other person 'wins', and if that is what is good for the greater good, that is the road the mindful leader takes. When it becomes evident that anger is being thrown around, solutions are ignored, and people are simply defending their behaviours - right or wrong, good or bad - the only way out is to stop it in its tracks. When you write, consider how the reader will perceive your words. I did do this in my situation, however, I evidently missed a possible reaction. This is risk management... there is still always a risk that someone will be upset by something you write. You CAN ask yourself why you are writing about this topic, particularly if it is a sensitive issue. If it is to harm anyone in any way, you may want to reconsider. This was definitely not my intention... but it did hurt someone. Next time I hope I will have a broader and wiser awareness. We make mistakes. We are human. The best way to deal with mistakes is to learn from them. That said, we also can't control how others react to things. Sometimes, your words may be helpful in many ways, yet still harm someone because they live in a negative world or are simply too hurt to see things differently. We do need to be mindful of our words, but if we speaking the truth with the intention to help or serve others, sometimes people will get hurt anyway. And sometimes that simply isn't your issue to deal with. If/when you receive hate mail, physically remove yourself from the situation. In my situation, I read the mail, told my husband about it, began to cry, and then left to be alone for a while. I also made a conscious effort to not re-read the message over and over. Hatred and negativity eats us up. We can fall into feeling completely unworthy. If we don't shed those thoughts, we can become less and less engaged in life and at work, not to mention get physically sick. Allow the emotions you feel to pass. All emotions pass through you and then end. As humans, we can experience every emotion from shame to love. It's when we don't allow the negative ones to come and pass that they stick around and wreak havoc on us. Shame is one of the darkest emotions one can feel. When you feel shame, do not allow it to sit inside you. It can lead to depression and self destruction. I had a lot of good cries for a few days following the mail I received. I allowed all the feelings of shame, anger, hurt, and sadness to move through me. I physically felt them in my heart, my throat, my belly, my head. And they have mostly passed now. When something hurts us to the core, it takes time for emotions to pass. Give yourself that time. If you need alone time, indulge in it, but don't remove yourself from life. Take some time each day for reflection and carry on with your day. Do the things you love to do. Be with the people you love to be with. Realize that the negative delivery of a message to you is not about you. No matter what mistakes you make or what incidents lead to the receipt of hate mail, you are still human and fully deserving of love and peace and greatness. Drum up some love. Depending on the situation, this can be quite difficult. But we are all the same. We all essentially and simply want love. I did a loving-kindness meditation - several times. It helped me realize that the person who sent me the message was simply hurt and angry. Her perspective was not wrong - it was far from what I consciously intended, but it was her perspective nevertheless. Once I could see this, I could respond to her with love. I responded to her message and thanked her for sharing her perspective. How she receives that message is none of my business. We cannot control others - only our own responses and feelings. On the other hand, I also had to find love for myself. We beat ourselves up so easily. Finding self-love will allow us to send love out. In the workplace, this is not widely accepted - yet. However, it is a highly successful solution to reducing conflict and fostering a culture of excellence, collaboration, and creativity. Realize you do not have to be right. What is 'right' anyway? Sometimes you are right. Sometimes you are not. We all believe we are right. Being right and proving it is not the definition of success. I wrote something. I can't change what I did. Was it right? Well, several people who read it thanked me. One person sent me hate mail. Was it right? I don't know that answer - and it doesn't matter. I'm OK with allowing the one(s) I angered to be right. That allows me to see another perspective. It also stops the negativity cycle. Delete it and move on. If you are experiencing something that has been going on for a long time, this can take more than simply deleting an email. However, it is possible to kick negative thoughts from the past out of your head whenever they arise and remove sources of hatred or negativity from your life. After responding to this lady with as much love as I could muster at that time, I deleted the correspondence. I have had almost a week to let it dissolve, and no doubt if that message was still in my inbox, I would have read it again and the negative feelings would linger longer. Find gratitude. Yes, gratitude for the hurt, the pain... and the lesson. When you open yourself to learning something from life, life opens up. Learn the lesson and be grateful to the person who taught it to you. It does not matter how they respond to your gratitude. You do not have to be best friends. You don't even have to say the words to them, you can be grateful silently - as long as it is authentic. Hate mail is horrible. It pains me to think something I wrote could hurt someone so much that they would send me a hateful and hurtful message. However, it did. This happens every day in the workplace. And people are festering in their offices, feeling awful, rather than being fully engaged and contributing all that they have to offer. It is with gratitude that I write this post. Indeed, I had a tough few hours, but I know people write and receive hate mail in the workplace and in their personal lives. We'd like to believe we would simply not write it. But in reality, it happens. Work suffers and energy/time/life is wasted. People are hurting. People get hurt. The only way to deal with it is to stop the cycle with love.